The Gateway Community is different from any other community in Central Indiana. It’s being developed from the ground up as a place to enjoy life by having time to focus on what matters. Gateway Communities of Indiana is a residential construction company specializing in communities geared towards enjoying life’s pleasures. Living in a Gateway Community gives families the time that is usually set aside for home and lawn maintenance, landscaping, and snow removal to enjoy their hobbies and time with family. Build with Gateway and never again feel the burden of exterior maintenance on your home. 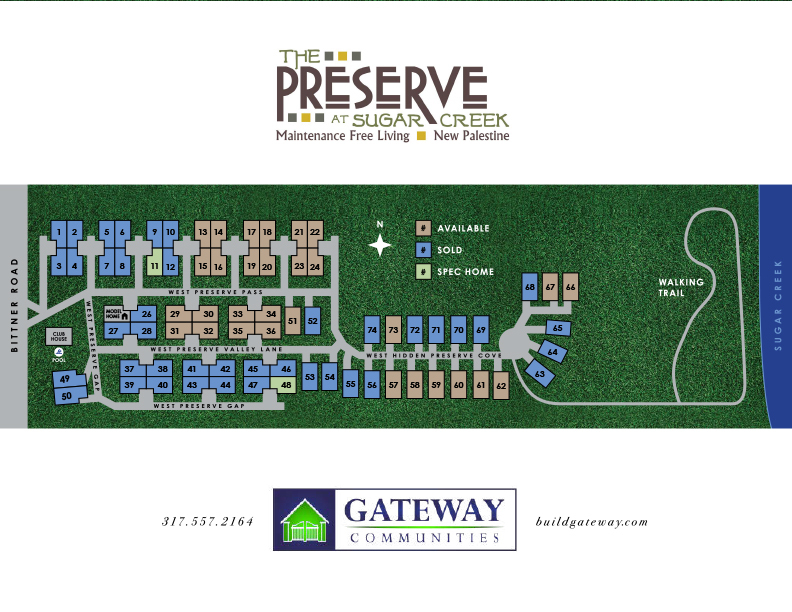 All Gateway Communities are maintained by a local management company for low monthly fees. Maintenance includes all of the homes exteriors whether you choose one of our attached villas or one of our single family villas. Come visit us at The Preserve at Sugar Creek in New Palestine. 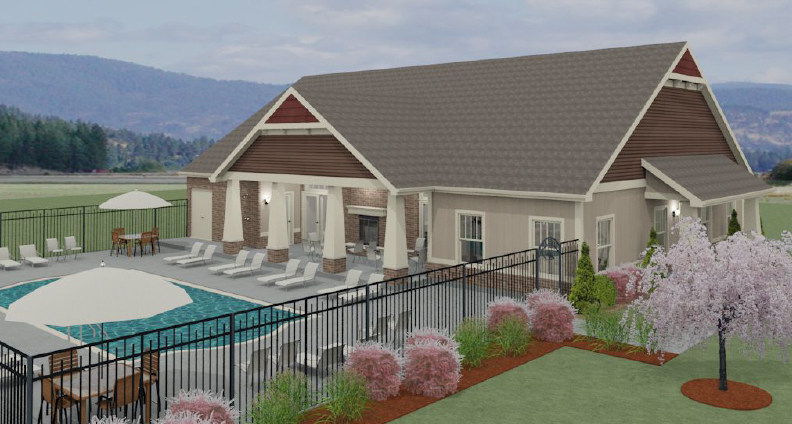 You will find many features that include our spacious clubhouse with 24 hour access to the exercise room and a swimming pool with outdoor gathering space that includes a fireplace. Inside, you will find a large entertainment space with tile floors, fireplace and full sized kitchen with modern appliances and separate restrooms for men and women. Take a tour of the community! You’ll see beautifully landscaped common areas with walking trails and a large spacious park area along Sugar Creek. Are you interested in learning more about life at the Preserve At Sugar Creek? Gateway Communities would love to help you learn more. Connect with our team so that we can plan a visit together.